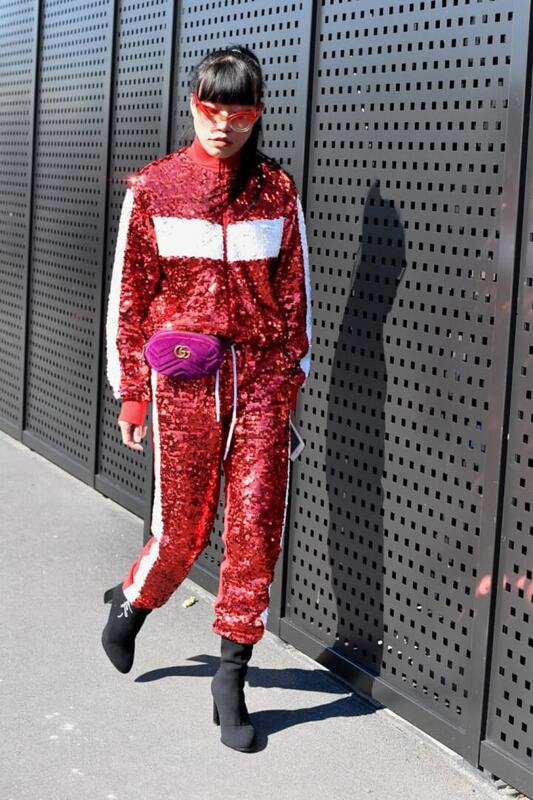 Have a look at 20 Street Style looks to copy from Milan Fashion Week. Veronika Heilbrunner in pantsuit outside Gucci. Interesting choice of sneakers under the suit! One of my personal favourite looks! More red – the one essential colour in every wardrobe this Fall! Nothing like a touch of green, note the Caroline Dechamby backpack! Fuchsia pink is the pink of the season. This shade was seen in many outfits! A touch of flamboyance to melt the heart! You can’t go wrong with black leather! Nothing like a pop of yellow with Asian inspired prints also featuring large at Milan Fashion Week. Look she’s wearing my favourite Caroline Dechamby bag too! Nothing like a classic clean camel and cream look. Seen outside MaxMara. Brown also large for this coming fall – don’t forget to team it up with a touch of red. Colourful stripes another new theme to watch for! More camel, you certainly can’t go wrong with camel this Fall! Note the beret – some sort of beret or black military hat appears to be a must have! Loving the daring mix of patterns here. OMG don’t you just love these Over the Knee boots! Had to take this photo doesn’t the bag match perfectly! Dear Candela Novembre in with a The Volon bag. Stay tuned for more Milan Fashion Week news – see what’s in store next Summer 2018! Marvellously Street Style Your Monday! Great photos! Those Gucci loafers are high on my wishlist….oh well, a girl can dream! Thanks Susan, so glad you enjoyed the post. Super cool and super inspiring post. These outfits are really so stunning. Can`t wait to get home, cause I would like to try something I have seen here. Wish you a great week too Esther! Great inspiration! Such an amazing post! WOW there is so much inspiration and extremely modern and chic style in the streets of Milan for Fashion week. Thank you for posting this Yvonne. I am pinning everything. You too look so street-chic! Welcome by Thursdays to linkup your fabulous style with me. You are such a hottie!